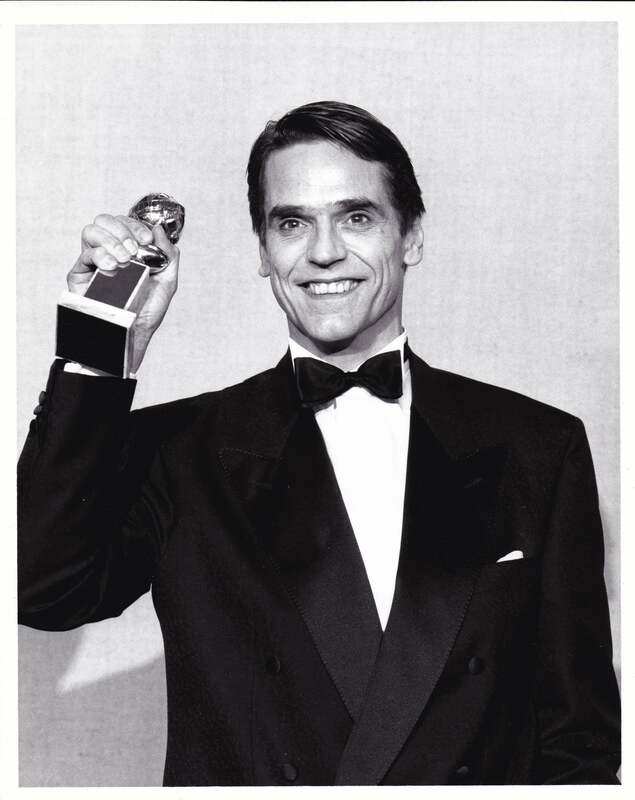 Jeremy Irons at the 48th Golden Globe Awards, in 1991, with his Golden Globe for Best Actor in a Motion Picture-Drama, for Reversal of Fortune. For over 40 years the HFPA has recorded famous and celebrated actors, actresses and filmmakers. The world's largest collection of its kind - over 10,000 items- is now in the Academy of Motion Pictures Arts & Sciences Margaret Herrick Library. In this excerpt from our archives, Golden Globe winner Jeremy Irons talks about his process of building up the character that would earn him a Best Actor Golden Globe in 1991.
" I decided to have a go at playing real-life Claus von Bulow in Reversal of Fortune. He was charged in real life with murdering his rich diabetic wife, Sunny, with her insulin injection. In a celebrated Appeals trial, his guilty conviction was overturned. Still, there was as much evidence he was guilty as there was he was innocent. I wasn't sure I was good casting and still think I wouldn't have cast me. I spent a long time working on two things- the look of the man and trying to get inside him without having to meet him. I didn't want to meet him because I felt it wouldn't be useful. And I didn't think he would tell me the truth. My instinct was that to meet him would, in some way, create a loyalty to him, hinder my objectivity towards the role. So I studied him, both on videotape and by reading a lot of the court transcripts. I wanted to capture his essence. I didn't want it to be an impersonation. During that period I made up my mind whether he was guilty or innocent. Of course I had to know because he knew, and I had to know, at each moment as I was playing him, whether he was lying or telling the truth. We have mutual friends. I fantasize about sitting down with him some day. I sometimes dream that he would tell me what really happened but I think I know anyway. "